**If you don't think kids will eat vegetables, try introducing them to these recipes. Remember it takes 6-10 times of seeing a vegetable before children might try a bite. See this post on training children's taste buds. If your children don't eat green beans try　ｔhese beans sautéed in butter and maple syrup。They are tender, sweet and delicious. 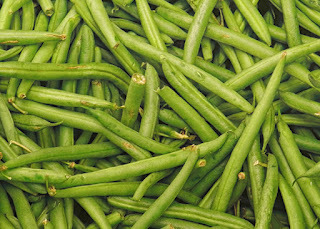 Steam green beans until softened. Melt the butter in a pan over medium heat. Add the maple syrup and green beans saute for a few minutes. Add salt and pepper to taste and serve. Learn more about green beans and try more recipes on our green beans facts page.